We have a huge selection of new guns to buy online. We have glocks for sale, M&P for sale, Wilson Combat for sale, Nighthawk for sale, custom guns for sale, Sig Sauer pistols, Walther CCP for sale, 1911 for sale and more! Check out all our used guns for sale. We buy used guns and sell used guns near Minneapolis Minnesota. Best used gun prices online! We are not a gun shop with range in MN. Arnzen Arms is a firearms retail store located in Eden Prairie, Minnesota. We are dedicated to providing a friendly, clean, and well-lit retail experience for firearms shoppers of all experience levels. We are conveniently located in Eden Prairie near the Interstate 494 and Hwy 5 interchange, next to Menard's. Arnzen Arms LLC is a retail firearms business servicing the south-west suburbs of Minneapolis, Minnesota and the nation via our user friendly firearms website. We pride ourselves in providing a well lit and friendly gun shop experience and a best in class web shop. We are "elite dealers" for Sig Sauer, Wilson Combat, Caesar Guerini, JP Rifles, and Glock. We stock other premium brands such as Gunwerks, Nighthawk Custom, Cabot, Les Baer, Benelli, Cooper Firearms, Christensen, Nightforce, Schmidt-Bender and more! Our full list of brands we carry can be found on the manufacturers page. 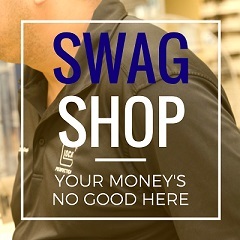 Best place to shop for USPSA, IDPA and 3 Gun gear! USPSA, IDPA and 3 Gun are very active in Minnesota. Our staff competes at all levels and you will see our jerseys at almost every event. Come into the shop and get let us help you get outfitted or check out all the gear online. Largest selection of in stock suppressors in Minneapolis! We have several of of the most popular silencers in stock now. Check out our in stock selection, or review our entire catalog of top models available for pre-order! Check out our FAQ on buying silencers and protect your ears! The modern sporting rifle has quickly become one of the hottest selling firearms in the United States. We stock all the top names and several custom guns that you have to see. If you are building an AR-15 or looking to accessorize a rifle with a handguard, stock, trigger, or optic, we encourage you to check out our extensive inventory of AR15 parts. We have a huge selection of pistol, rifle and shotgun ammunition in stock! We would be happy to help you find the perfect target, defensive or hunting load by the box or in bulk. Anyone that owns a pistol knows how hard it is to find the perfect holster. Arnzen Arms can help. We carry several types of holsters from top manufacturers like Blade-Tech, Comp-tac, DeSantis and Safariland. Our commitment to having a wide selection of holsters vastly increases the chance you will find the perfect fit. Why shop at Arnzen Arms? Minnesota's clean, well lit, friendly gun store. Serving the USA since 2012.